I’ve been asked to teach another class at the Tenterfield TAFE College. It’s scheduled for 5th November, 2010, so if you live in or vaguely near the beautiful town of Tenterfield, and wish to make some delicious goodies all geared towards Christmas, then phone and book yourself into this class. This is, just as the title of this post implies, a sneak peak at one of the items that we will be making. This is a fabulous little container to give a loved one something small, sparkling and expensive OR (as my husband would say…..) something small, cute and cheap. I’m kinda sad now that I made this one in a discontinued DSP, cause it turned out so great. 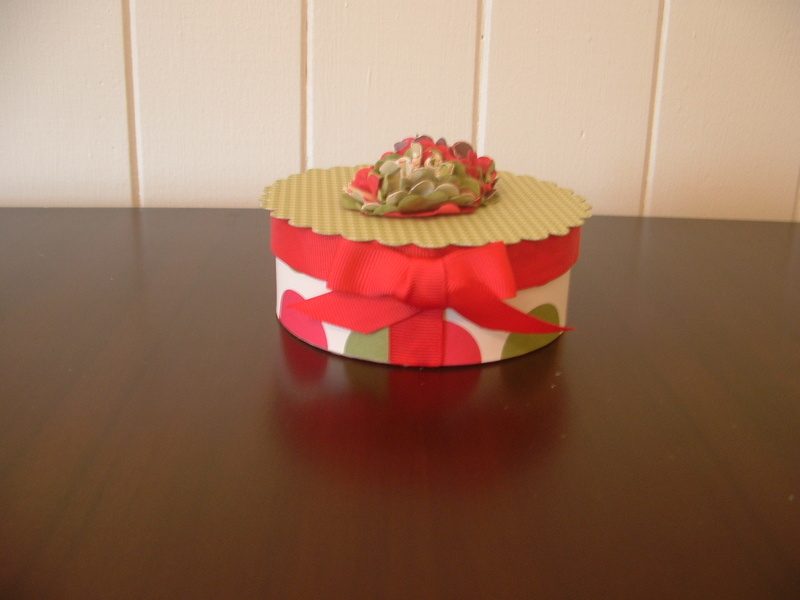 I’ll also be making some of these little boxes to sell at the Quota Festive Fasions at Four which will be held in Tenterfield on 27th November, 2010. So if you miss my class you can still purchase yourself one at the Quota fundraiser. This is a closer view of the lid. It’s really, really and seriously cute. I so wish that I could photograph much better than I do. These photos really don’t do the little critter justice. 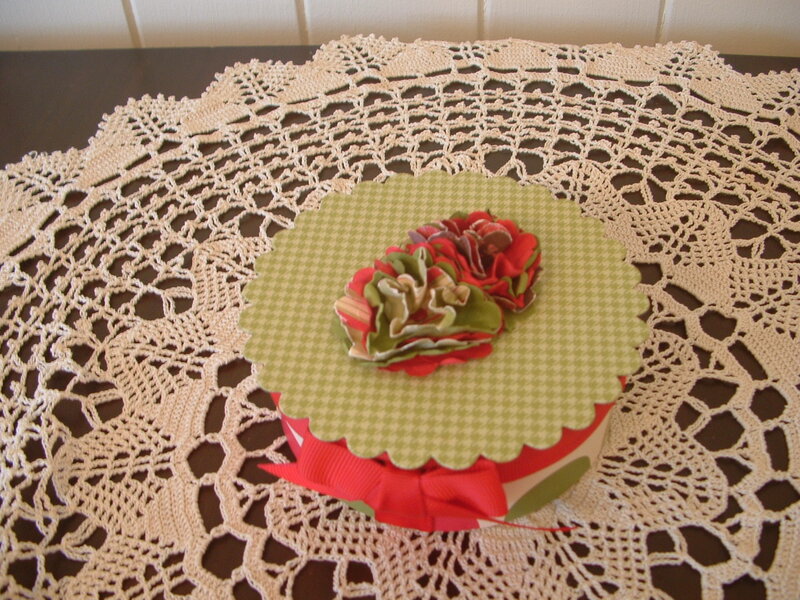 Flowers created with the scallop circle punch out of DSP and Real Red and Old Olive Cardstock. The lid was cut using the Big Shot and the SU scallop circle die.